Dr. Hon graduated from King’s College London with a degree in Biomedical Science prior to completing a Ph.D. in Psychiatry at Hughes Hall College at the University of Cambridge. He also holds postgraduate qualifications from the School of Oriental and African Studies at London University and from Harvard University, as well as being a guest professor at a number of well-known universities in Asia. Previously a private banker with ABN AMRO Bank, Dr. Hon gained expertise in financial planning, lending, portfolio management, tax structuring and trust formation, which led him to form The Global Group. Today, the company has offices in the UK, Hong Kong and China. Dr. Hon has always had an interest in the arts, particularly film and television, as both a benefactor and investor. He was Executive Producer of the China and Hong Kong box office hit, “Protégé”, starring Andy Lau and Daniel Wu, and of the George W. Bush biopic “W”, directed by Oliver Stone. Dr. Hon was the Associate Producer of “Una Noche” which premiered at the Tribeca Film Festival and subsequently won the Award for Best Director, Best Actor and Best Cinematography. Politically, Dr. Hon holds official positions with four governments and is Ambassador-at-Large for Grenada. He is a member of the Heilongjiang Provincial Committee of the Chinese People’s Political Consultative Conference (CPPCC) and in July 2015 was awarded the Medal of Honour (MH) from the Government of the Hong Kong Special Administrative Region of the People’s Republic of China for his dedicated community service. His charitable work is well documented and he serves on the committees of numerous international charities. 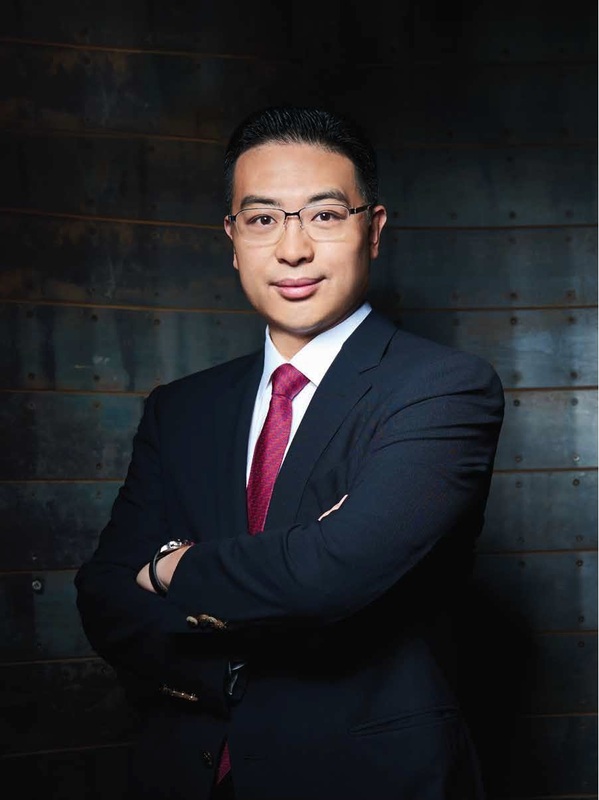 During his career, Ray has advised on human resources, training and organisational development strategies for a wide range of multi-national and large-scale companies in Greater China, including financial institutions, property developers and think tanks. As Chief Human Resources Officer, Ray is committed to finding innovative ways to develop both leadership growth and employee empowerment. He believes this is key to maintaining a client-centred focus and at the same time, nurturing Global’s human capital. Ray holds an EMBA degree from the Chinese University of Hong Kong (CUHK), specialising in Human Resources Management and Accounting. He is also a qualified accountant and a professional member of the Hong Kong and Australian Human Resources Institute (AHRI). Jason is a Solicitor of the High Court of Hong Kong with substantial experience in commercial and corporate M&A, corporate finance and litigation. Jason has advised on numerous business matters involving Hong Kong listed companies (some of them with a China state-owned financial institution as their parent body), China listed infrastructure and property developers and high-net-worth individuals from both China and Hong Kong. He has extensive experience in multi-jurisdictional commercial trades and transactions covering China, Hong Kong, UK, USA, Australia, New Zealand, Southeast Asia and elsewhere. Jason is also a specialist in shareholders’ disputes and liquidation proceedings at a High Court level. Jason obtained his double degree of Bachelor of Laws and Bachelor of Commerce (Banking and Finance) from the University of New South Wales, Australia. Kenneth is a qualified accountant and has worked at two of the big four in Hong Kong; Ernst & Young and PricewaterhouseCoopers. During that time, he gained extensive experience in audits, corporate M&A and finance in the financial services sector. Kenneth has also worked in property development as a financial controller and has developed significant expertise in financial reporting, fundraising and IPO preparation. Kenneth obtained his Bachelor of Science degree from the University of British Columbia and is a member of the American Institute of Certified Public Accountants. Iris has more than 20 years’ accounting experience across various industries including finance and manufacturing. She’s worked for both private and listed companies in Hong Kong, China and around the world. Iris oversees the Group’s accounting functions, liaising with external auditors and tax advisors for the Group’s consolidated financial reports and tax planning. She also has experience in handling cash flow management and treasury control across various sectors including financial and entertainment as well as lottery and immigration consultancy. Iris obtained her Bachelor degree of accountancy from the University of Hong Kong. She is an affiliate of the Association of Chartered Certified Accountants and a member of the tax interest group, ACCA Hong Kong. Mike is a financial services professional with more than 40 years’ experience. During his career, Mike has held numerous control functions including Director, CEO as well as Compliance and Money Laundering Reporting Officer (MLRO). In addition, Mike has also been responsible for the corporate functions of strategic policy and direction, management, compliance and regulatory reporting, HR and administration. Notably, Mike also successfully built a number of regulated stockbroking businesses which he subsequently sold. During his early studies in Moscow, Ambassador Vasile was the foreign correspondent for Romania’s largest newspaper, Evenimentul Zilei. Later, he also held positions at the Kremlin, the MoD and the MFA. In the 27 years of diplomacy that followed, he rose from the rank of Diplomatic Attaché to Minister-Counselor fulfilling tenures as Diplomat, Deputy Ambassador, Consul-General and an Ambassador. His work for the Romanian MFA saw him posted to South Africa, Croatia, Poland, the Russian Federation, the People’s Republic of China – Hong Kong-Macau SARs and the Republic of Armenia. Ambassador Vasile has also been a guest professor at numerous universities in Croatia, Poland, Russia, the People’s Republic of China and Armenia and has published several journals on the topics of International Relations and the Global Economy. He is also the Honorary President of the Macau International Police Association and a member of the World Federation of Consuls and the Hong Kong Consul-General-in-Residence Association. Aside from his native Romanian he speaks eight foreign languages. Ambassador Vasile graduated with a degree in Geography from the University of Bucharest before going on to complete a Master of Arts in International Relations at the Moscow State Institute of International Relations (MGIMO). He also holds a Ph.D. in Geopolitics from the University of Bucharest as well as postgraduate qualifications in Foreign Relations from the Clingendael Institute of International Relations- Netherlands and from Leiden University. He has completed training courses with the European Union, NATO, the UN (Geneva), the Moscow Diplomatic Academy, the Danish School of Public Administration (Copenhagen), Sorbonne University and the Bucharest Diplomatic Academy of the MFA.